For more than 53,000 warehouse and manufacturing facility operators and equipment buyers, CeMAT 2014 was the ultimate shopping expedition. At the biennial event—held in Hannover, Germany, from May 19 to 23, 2014—1,025 exhibitors showed off 4,000 state-of-the-art warehousing, packaging, and inventory management solutions. Occupying 1.3 million square feet of display space—including several outdoor pavilions, meeting areas, and product showrooms—the event demonstrated the vitality of Europe's intralogistics industry. Germany alone accounts for 19 percent of the global export market for products such as lift trucks, conveyor solutions, and picking systems. 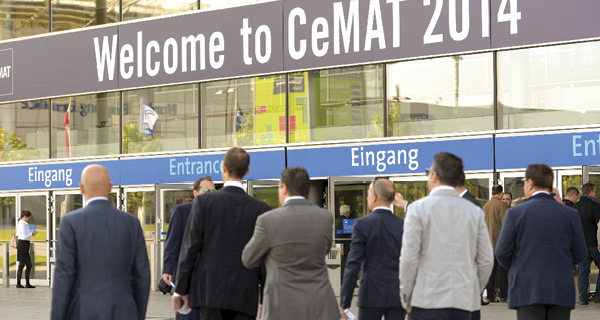 Inbound Logistics attended CeMAT 2014 and came away with six prevailing themes.